On May 22 WGBY, Museums 10 and the Beneski Museum of Natural History are pleased to offer an exciting day of professional development at the Beneski Museum of Natural History on the campus of Amherst College, FREE to educators in our region. 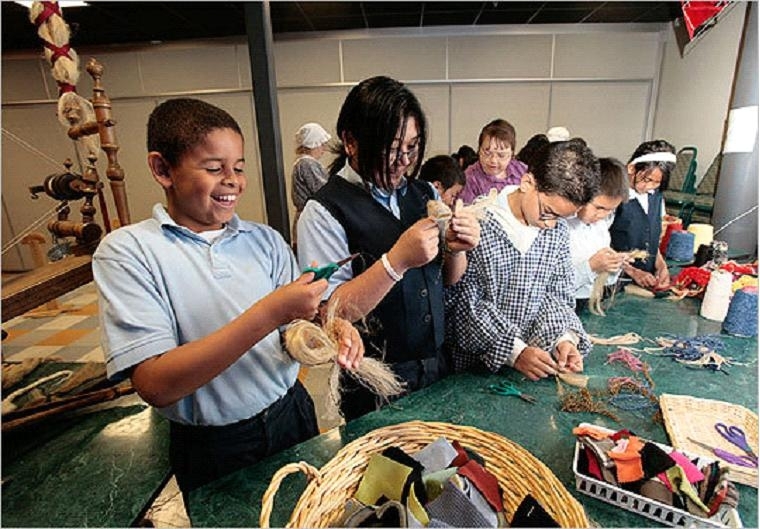 “Getting the Most” Out of Student Field Trip Experiences is a professional development offering inspired by the desire of area museums and field experience providers to work hand in hand with area PreK-12 educators. Participate in grade level sessions focused on pre and post field trip work and enhance your ability to create the scaffolding and set the stage so all students get the most out of their experiences. Hear from field experience and museum educators about what goes into a great field trip experience and how that experience can create a lifelong connection to learning. Interact with WGBY education staff and learn about PBS online resources available to compliment your classroom and field experiences. Hear from private and public funding sources about how to increase the chance of having your field trip sponsored. Receive complementary admission/pass for two field experience sites being considered for a fall 2012 field trip. These passes can be used over the summer for field experience planning. To enhance your experience, enrich your field trip plans and receive 10 PDPs, you will participate in two webinars entitled, Connecting to the Curriculum. We’d love you and students to benefit from this unique professional development opportunity. Since space is limited, please register soon by sending in your registration form. We would also appreciate your help in spreading the word by sharing/posting our downloadable flyer. For more information, please contact Bess Kapetanis: 413.781.2801 x 292 or by email at bkapetanis@wgby.org. This entry was posted in Professional Development, Teaching Tools and tagged WGBY. Bookmark the permalink.